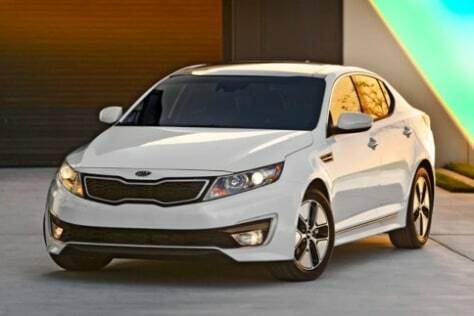 The 2011 Kia Optima Hybrid is Kia's first hybrid car. It uses a lightweight lithium polymer battery with a 4-cylindar engine and a six-speed automatic transmission. It'll go on sale later this spring.